INL Summit 2018 third day will be dedicated to Mission 10.000 – a nanoGateway International Conference. This main conference topic will be Nanotechnology: an enabler for bioeconomy and subjects as agriculture (including forestry sector), water resources and food industry will be discussed thro papers, oral presentations and many other sessions. 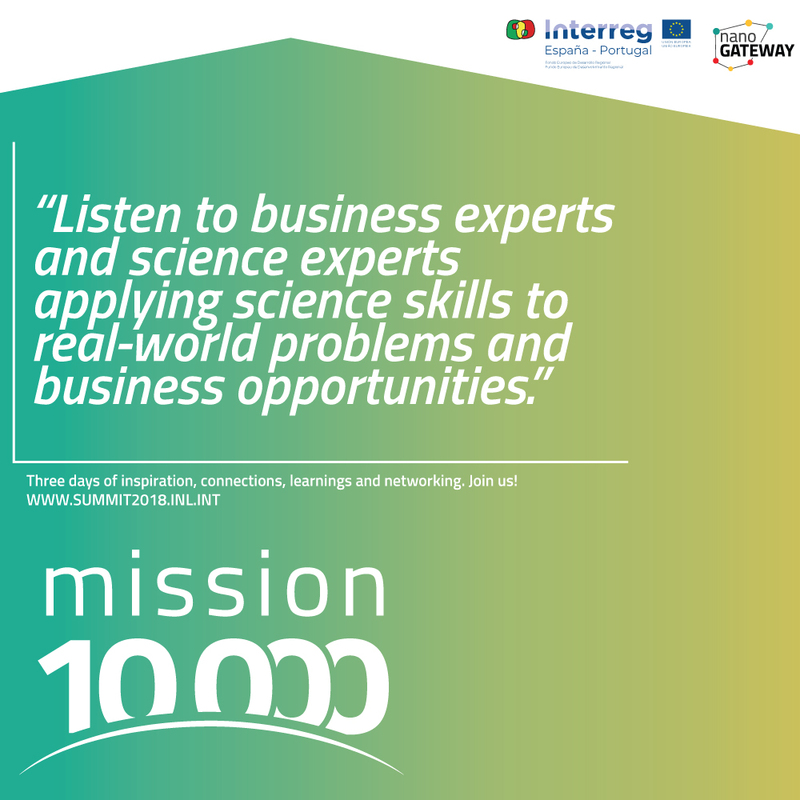 This Mission is a collaborative multi-actor sector initiative to increase the impact of research in issues of social relevance, involving all the relevant actors to solve complex challenges. Submit your abstract on this Mission until September 15th and get involved in a unique conference. See you on October 17th, at Forum Braga!